The Ultra-Flat by KooKoo is a modern, striking and ultra-flat wall clock, which allows bird sounds every full hour. It emerged leaning on the KooKoo classic “Songbirds”. 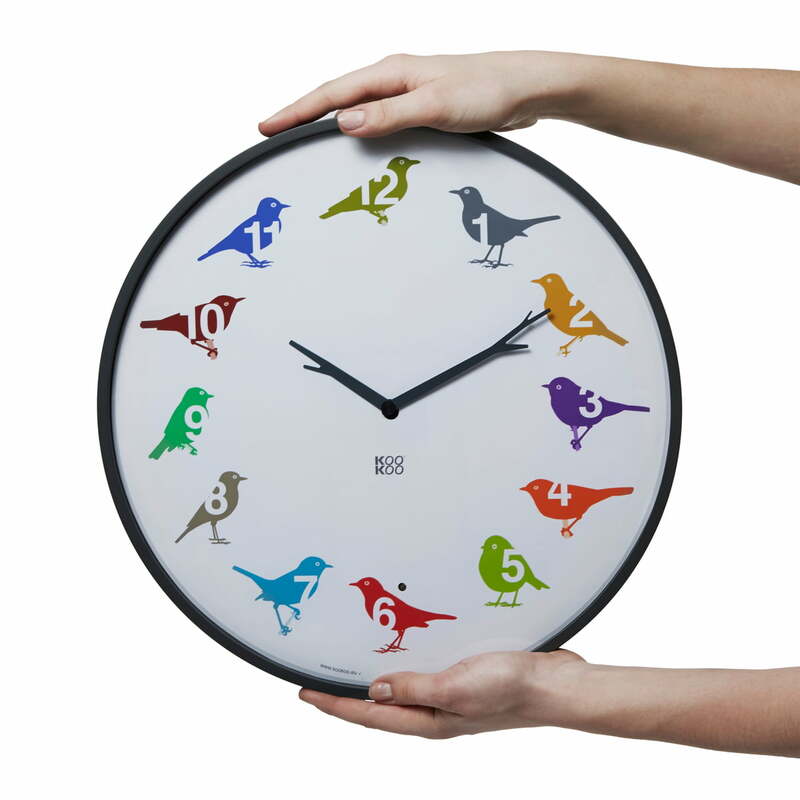 The silhouette of 12 homely songbirds irnament the dial of the KooKoo Ultra Flat wall clock. 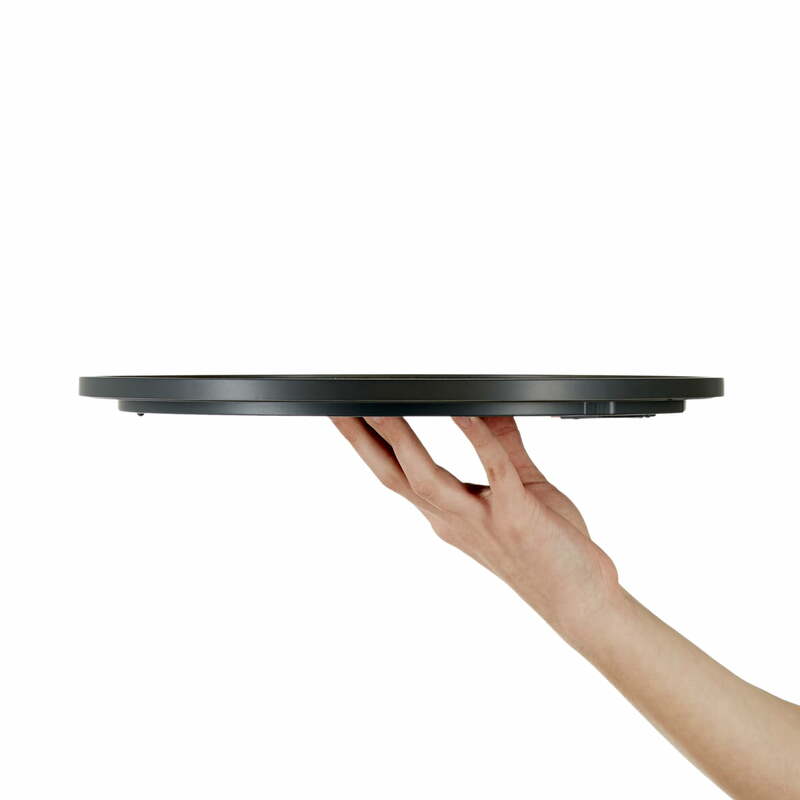 Contrasting the “Songbirds”-clock, the Ultra Flat is more reduced and design-oriented. 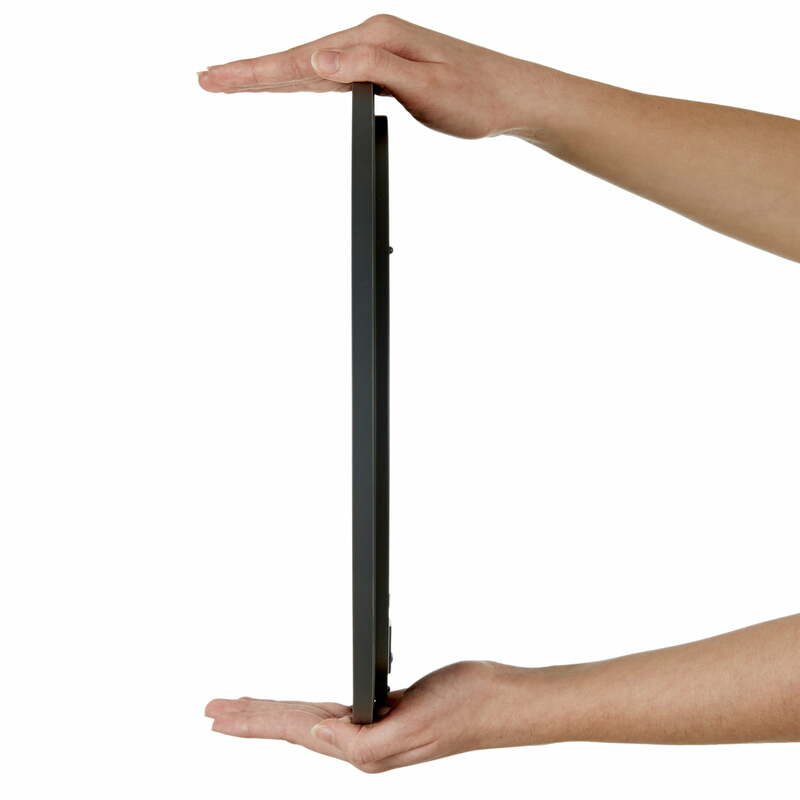 It is moreover the most thin clock designed by KooKoo ever, with its 18 mm of thickness. This naturally doesn’t change its qualities; Every hour a bird will sing his song for you – at 1 o’clock it will be the represented blackbird, at 12 o’clock the oriole, and so on. All the birds’ voices were recorded in nature: they are originals. An included light sensor enables that the birds go to sleep and become quiet in darkness. 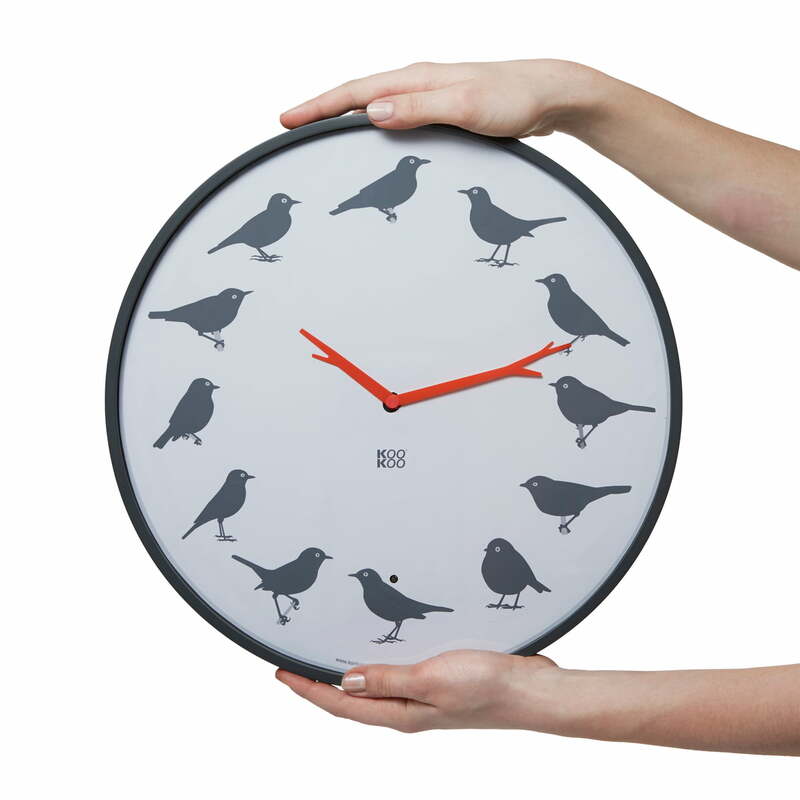 These qualities make the KooKoo clock exciting for children and for ornithology enthusiastic adults. 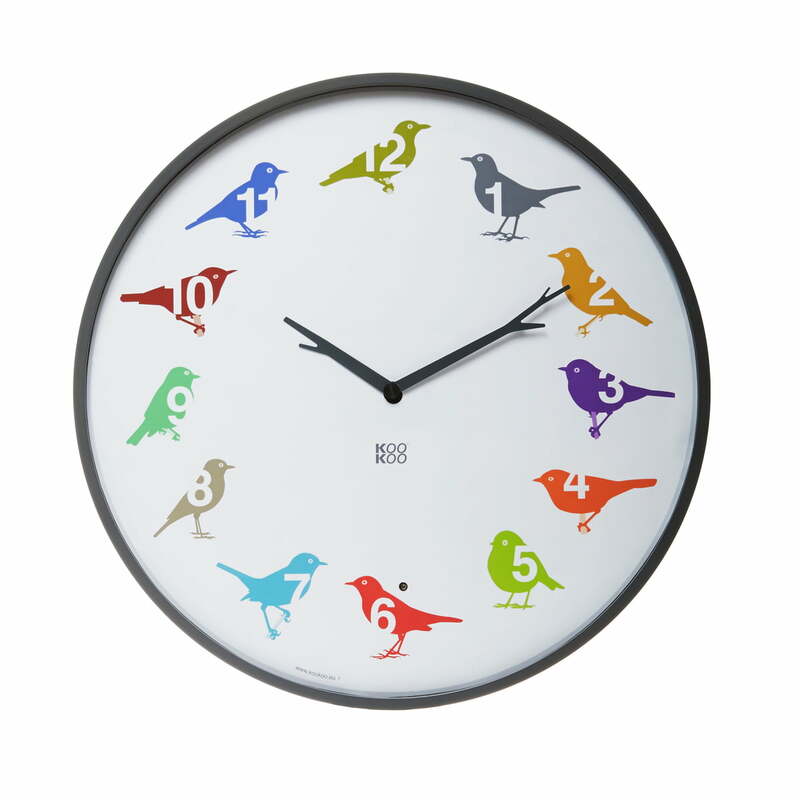 The songbirds clock “Ultra Flat” is available in simple colours, as well as in a vivid and colourful edition. Amount of batteries 2 pcs.